Rizoma Corsa L FR111B Turn Light Black (1 unit). Small sized turn lights with a sports essence. From a single solid block of aluminium to afford maximum resistance, the Corsa incorporates incorporates the latest SMD LED technology. Great light intensity European homologation. 2 functions: Turn light / white front position light. 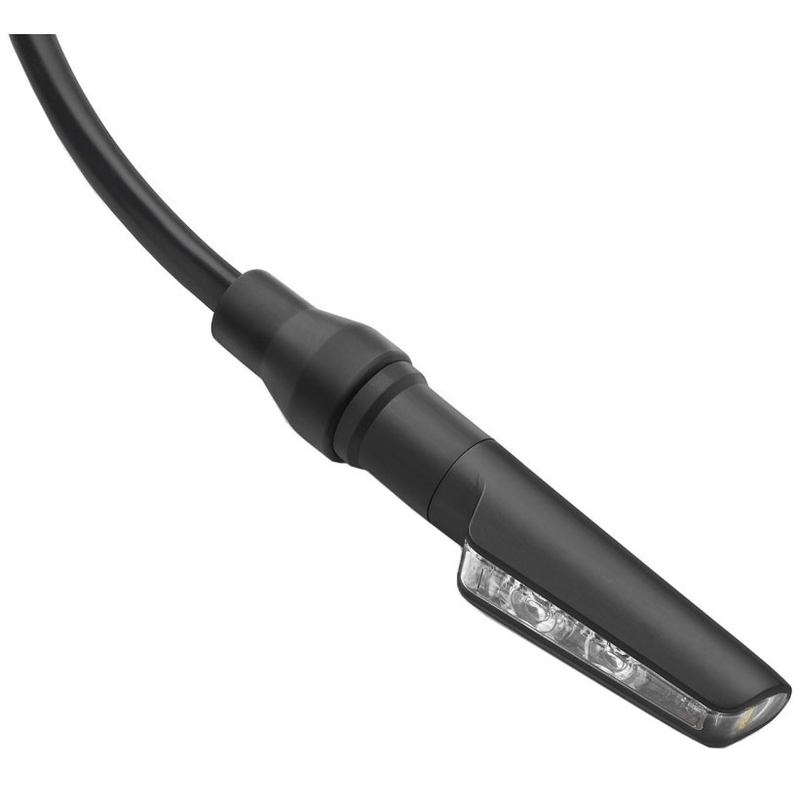 Rizoma Corsa FR110B Turn Light Black (1 unit). Small size turn light. Made from a single solid block of aluminium to afford maximum resistance, the Corsa turn light incorporates the latest LED SMD technology. Great light intensity. European homologation.